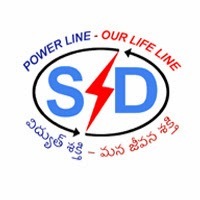 The Andhra Pradesh Southern Power Distribution Company Limited (APSPDCL) is gearing up to implement net metering policy. It is about the mechanism of injecting solar power into the grid by rooftop and small photovoltaic plants and arriving at the net value of power. After the single-phase consumers were also recently allowed by the Energy Department to avail net metering facility, the ball is now in the court of the power distribution companies (Discoms) to encourage and facilitate tapping of solar energy through rooftop plants and small SPV plants . Only three-phase consumers were till last month permitted to install bi-directional meters which measure the net value of power. But the condition has since been relaxed allowing single-phase consumers with rooftop systems up to 3 KW capacity also to go for net metering. The onus to motivate consumers to tap solar energy and export any surplus power to the grid now lies on the Discoms and the New and Renewable Energy Development Corporation of Andhra Pradesh (NREDCAP). On their part, the Discoms are mandated to certify and inspect the solar rooftop systems along with the metering devices and other paraphernalia at regular intervals while the NREDCAP facilitates payment of subsidy to the consumers registered with it. Installation of high accuracy bi-directional meters which can be tracked on a real-time basis and devices capable of injecting solar power into the grid smoothly without causing fluctuations in the grid frequency are the main things that the APTRANSCO and Discoms have to do. Disturbances (harmonics) to the grid are common as direct current (solar energy in this case) is converted to alternate current. Insulating the grid from such variations is called ‘island protection’. The Divisional Engineers (Metering & Protection) play an important role in integrating the solar plants with the grid and they have already been equipped with the necessary skills. The procedures to be followed in the wake of issuance of the fresh G.O on net metering on October 25 are being circulated to the officers and staff concerned.